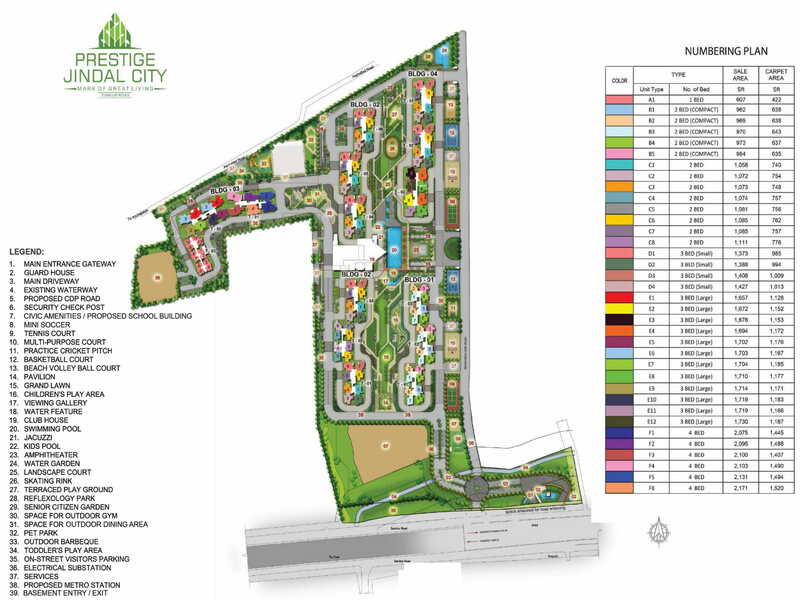 Prestige Jindal City is developed over a colossal land parcel of 32 acres in prime locales of Tumkur Road – Bangalore. The premise hosts 15 up-heaved towers accommodating 3000 plus luxury habitats spread over ground+29 floors assemblage. The premise blobs a perfect collection of lifestyle amenities with befitting open spaces to cater an upscale livelihood to its occupants. With grand entrance, tree-lined pathways, visitors’ car parking slots, swimming pool, fire driveway, Kid’s play zone, cricket practice nets, clubhouse, multi-purpose court, open terrace, tennis court, amphitheatre, landscaped area, park & open spaces, and safe exit, the project is well planned with a flawless all-embracing outline.